The 9th edition of VidCon US was held in Anaheim, California from June 20 to 23. The event, organized by Viacom, brought together more than 35,000 creators, brands, agencies and online video-lovers. Adviso was there to soak up all the new industry trends and take inspiration from the best content and influence marketing strategies on the market. While VidCon is primarily known for attracting teens armed with selfie sticks, screaming wildly at the sight of their favourite YouTuber, it’s actually much more than that. The event, divided into multiple tracks, includes concerts, conferences and networking activities. There’s something for everyone. The landscape of online video is evolving at breakneck speed and the 9th edition of VidCon has acknowledged these winds of change in its programming. The past year has seen a major upsurge in new online ecosystems, which provide new opportunities to build success online. These platforms are as different from television and YouTube as they are from each other. During the early years of VidCon, online video was regarded more as the less-popular younger sibling of television. Now, YouTube is getting closer and closer to television, and television is trying to update its image by taking cues from the online video giant. The same scenario is playing out with content creators, a significant number of whom are getting involved with traditional media. On the flipside, some TV stars, like Will Smith, are quickly becoming YouTube sensations. The boundaries are blurring, but this crossover leads to a reassuring conclusion: the world of video is sticking around! More recently, fake news took the web by storm in a number of ways. Whether with words, images or video, media and audiences need to be doubly careful when it comes to online content. 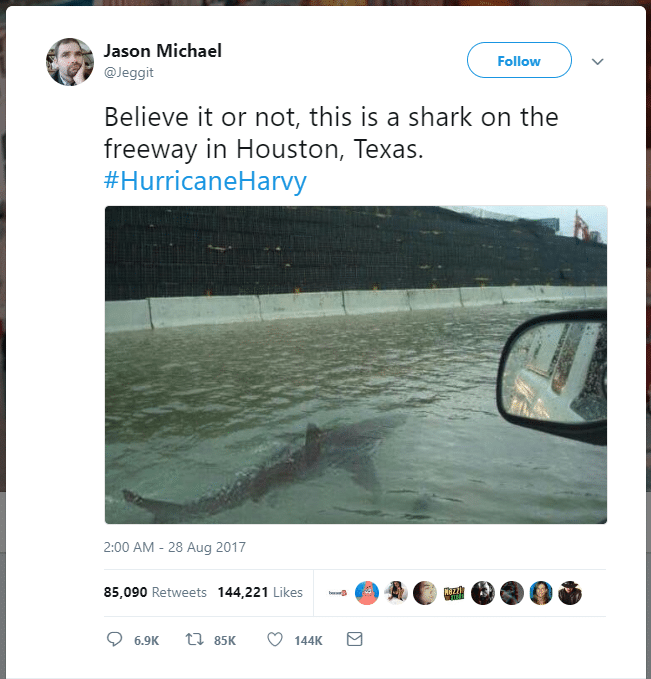 Just think about all the shark photos flying around social media after the flooding caused by hurricane Harvey in Texas in 2017. The question is, is it the responsibility of the creator or the advertiser to ensure the legitimacy of online content? The answer, as you can probably guess, is a bit of both. The arrival of these platforms in the digital ecosystem has brought about interesting opportunities for the talented creators who use them and the brands that collaborate with them. But with these new opportunities come new responsibilities. How can you create relevant content for an area in constant growth? Understanding your audience is a critical step as you define and develop a content strategy. Not only does it involve determining the age and origin of your community, but also learning about their digital consumption habits so you can offer content that brings real value. Beyond demographic data, there are ways to learn more about their favourite brands, their passions and the life events they are dealing with. To define the behaviour, motivations and goals of your target market, Adviso recommends creating personas. Then you’ll have all the information about your customers at your fingertips. To do this, we recommend working with tools like comScore and Facebook Audiences Insights. They are teeming with relevant information about the digital consumption habits of users and will allow you to draw interesting conclusions on the types of content that might get them excited. If the first goal is to reach your audience, the second is to satisfy them. Your brand and your product tell a unique story that belongs to you, so communicate your message wisely! Who are you trying to speak to? What do you want to say to them? How will you express it? Your message should always be adapted based on these elements. VidCon highlighted the prowess of Patagonia, which generated awareness among its community of the environmental disaster caused by pipeline oil spills. 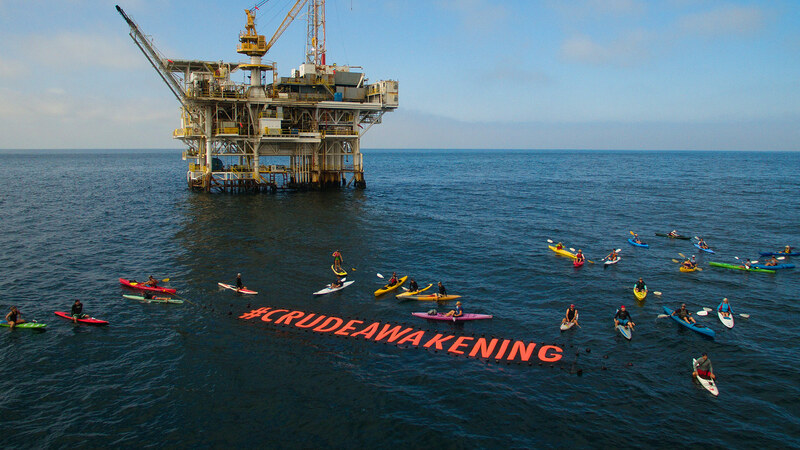 By creating the mission #CrudeAwakening, Patagonia joined a conversation about current events that aligned with its brand values, and shared its message in an impactful way. The result: engaging content, a multitude of mentions and even a change in local legislation. If your content’s subject matter requires you to take a position, ask yourself the following question: how should my brand communicate to defend this idea? And don’t worry, handing over the reins to a person or complementary brand who knows the issues better than you is a totally reasonable option. The key? Associate yourself with a partner who will know how to align your message with the idea in question as naturally as possible. In Quebec, the National Bank decided to reach out to YouTuber Émile Roy to get generation Zers interested in personal finance. 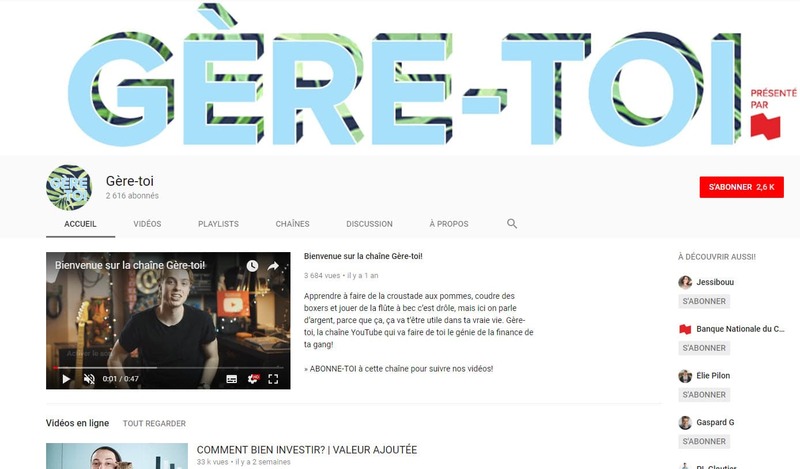 The YouTube channel Gère-toi, created by and for young people, offers content that’s at once educational, informative and above all different than what they’re used to consuming from the financial industry. Soon after it launched, the videos successfully reached a ton of people and sparked animated discussions on real issues. It’s a great example of content that’s well-adapted to its target audience and of messaging that’s connected to a brand image. The digital ecosystem is evolving at an alarming rate. To stay relevant, you need to be able to constantly adapt. Thankfully there are tons of tools you can use to get the critical information you need about your audiences. What will distinguish you from the competition will be your ability to highlight the essential and draw interesting conclusions for your brand. By carrying out this exercise continually, little by little you’ll see improvement in the quality of your content. Have questions about your video content strategy? We can provide guidance and support at any stage in your project. Passionate about quality content, Marie-Pierre knows how to advise her clients on the most efficient content strategies and the ways to adapt and distribute content on every platform. She is constantly on the lookout for the next industry trend, and how she can integrate this trend into her clients' social media strategies in order to answer their needs in a personalized manner.